SONiVOX have some amazing deals with prices as low as $3.99! Here is your once in a lifetime chance to expand your virtual instrument collection with these great Black Friday deals. 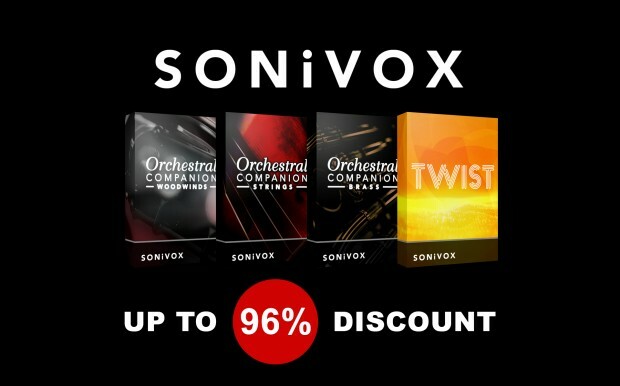 This entry was posted in DontCrack, Promotions, Virtual Instruments and tagged Orchestral Companion - Brass, Orchestral Companion - Strings, Orchestral Companion - Woodwinds, Premier Collection Upgrade, SONiVOX, Twist. Bookmark the permalink.